MENOMONIE, Wis. (CNS) — Alice and Jeff Heinzen will not only be serving as auditors for the extraordinary Synod of Bishops on the family at the Vatican Oct. 5-19, they also will make a presentation before the general assembly. 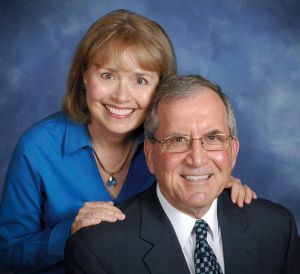 In their main role as one of 14 married couples from around the world selected to serve as auditors for the synod, the Heinzens will observe general assembly sessions and participate in group discussions with the English-speaking delegates. “During the general assemblies, we will be listening and observing,” Alice Heinzen said in an interview in advance of the synod with The Catholic Times, newspaper of the Diocese of La Crosse. “We may only speak during these sessions if requested. Our input will mainly be shared during the small discussion groups,” she said. In July, Alice Heinzen replaced her husband as director of the diocesan Office for Marriage & Family Life, when he became president of McDonell Catholic Schools in Chippewa Falls. Her previous position was as diocesan natural family planning coordinator. Between them, the Heinzens have spent more than two decades in the Office for Marriage & Family Life, and they will combine that experience with their experiences of growing up in Catholic families, as a married Catholic couple and as Catholic parents when they address the general assembly. The Heinzens also are blogging about their experiences at the synod on the diocese’s website — www2.diolc.org/synodonmarriage. The theme of the extraordinary synod is the “pastoral challenges of the family in the context of evangelization.” It will prepare an agenda for the worldwide synod one year later. Alice Heinzen said she and her husband would present a “four-minute witness” as part of a discussion of the first and second chapters of Part II of the 75-page “instrumentum laboris,” published by the Vatican June 26 to “provide an initial reference point” for discussion at the synod. During the summer, after accepting the pope’s invitation to participate in the synod, the Heinzens got busy preparing, including by consulting La Crosse Bishop William P. Callahan, officials at the U.S. bishops’ conference and La Crosse’s diocesan communications director, Jack Felshiem, who gave the couple some basics on how to handle media requests. There was lots of reading, too, but “most importantly, we are praying and fasting in preparation,” Alice Heinzen said. She added: “Our expectation is that the synod participants will provide Pope Francis with meaningful and practical recommendations that will strengthen sacramental marriage and the domestic church across the globe,” she continued. The Heinzens were a bit in awe they were invited to the synod. Of all the Catholic couples in not only the United States, but in the world, why had this pair of family life professionals from Wisconsin’s Chippewa Valley been chosen to participate? “I spoke with an NBC affiliate in Rome … and he asked me why we were chosen,” said Alice Heinzen, who told the reporter it was a mystery for her and her husband. Downey is associate editor of The Catholic Times, newspaper of the Diocese of La Crosse.